Is there anything that can be done to fix the issue of Fix Radials not displaying correctly ? as you can see in the screen shot i set a fix for EGKK26L and set it at 258 as per real world but its displaying off set on the ND .. you have to use 262 to get it to line up with the runway, this will effect any displayed fixes that will be entered manually, some pilots like to use this feature to add a center line to runways but these will of course also display wrong . 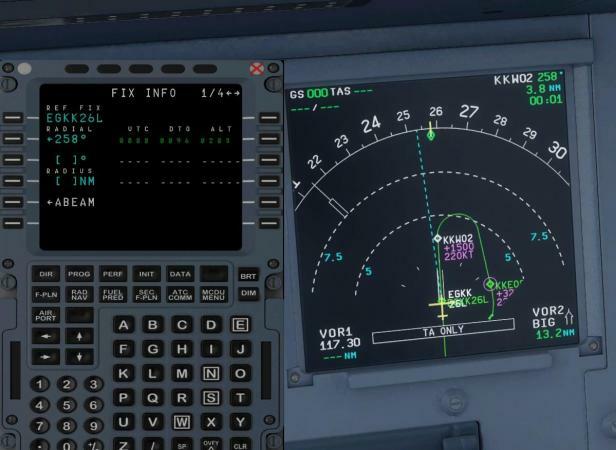 great thanks to you and all the team for all the work that goes on behind closed doors working on the Airbus .... the fixes are really making a great addon . I found we're getting a wrong magnetic variation value for certain locations. Seems to be fixed now. Please retry with the next update (not sure on exact date).